With the exponential rise in internet users, the risk of running into a phishing website or unsafe domains increases too. The consequences of unsafe internet surfing are so grave that you could also fall prey to identity theft just by revealing your name, email ID, age, and phone number! Thus, every website asking for such details should be a trusted website but how does one figure that out? The virtual world is full of traps and pitfalls, and there is no absolute surety of knowing what is safe and what isn’t. You could be downloading a harmless viral video or the latest season of some famous show and could be opening the gates of vulnerability. The ones who have been around the internet for long would know that VPNs are possibly the safest way to make anonymous data transfers on the internet. But even the best of us, at some point, may have wondered are VPNs legal? And more importantly, is VPN safe as we consider it to be? Before we discuss the question ‘are VPNs safe?’ let’s have a better understanding of what a VPN truly is. To simplify it, VPN (or Virtual Private Network) is a software that one uses to stay anonymous on the internet, it is especially useful in shielding the user from their internet service provider or even the Government. These tunneling software attach your network through a series of servers across the globe so the hosting website is clueless regarding your actual and exact location. Your IP address is a unique ID for your virtual presence and a VPN will spoof your IP so that you can basically take on a new and unknown identity. Certain websites impose geographical blocks wherein the web content may only be accessible to those present in a particular continent, country, or locality. A VPN can bypass this limitation allowing access to any geographical location. For example, if some content is available only for internet users residing in the US, and it is blocked for viewing in India, you can effectively use a VPN to trick the website into believing that you are using an internet connection within the US. Paid and unpaid VPN services are available on the internet. They have multiple servers present in most countries to enable their user to spoof their network as local internet connections through rerouting using these available servers. The paid VPN service providers charge a nominal fee that can vary from hourly to yearly packages. The free VPNs could come at a cost much greater than paid VPN services charge. Of course, there are some reliable service providers but there are also rogue ones who exploit and compromise on your personal data in lieu of their ‘free’ services. We shall be talking about this in the later sections. So like we mentioned above, VPNs can be used to avoid being tracked by the Government, naturally, it would trigger the question: are VPNs legal? The answer to this question is rather country specific but a more generalized answer would be Yes. VPNs are not illegal. However, this is not the case all over the world since VPNs are declared illegal in certain countries (more on that later). Even though VPNs may be legal in most countries, it goes without saying that carrying out illegal activities through VPNs like spreading viruses, selling drugs and/or copyright material could still make you liable for any legal action. Countries like the UK, the US, and Canada allow the use of VPNs. However, VPN service providers have to comply with the guidelines laid down by the governing authorities of that particular country where their organization is registered. This security is not just limited to any random internet user but is also extended to major Corporations and Government organizations. VPNs are used as a line of defense to protect sensitive data and intellectual property. Even banking environments make use of VPNs to provide access to an employee to his or her workstation when they are working from home. In the current times, anonymity and privacy are every individual’s utmost concerns. Whether they feel that they are being monitored by the Government or simply wish to escape the clutches of targeted ads, more and more people are using VPNs to safely secure their connections. 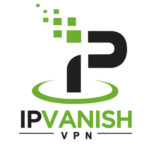 With VPNs, even your VoIP calls cannot be tracked or monitored. These pros outweigh the major cons of using a VPN, making it legal in most countries. Here’re more reasons why you need a VPN. Is It Illegal to Use a VPN for Netflix? Apart from this infringement of Terms of Service, there seem to be no other laws that are flouted if VPNs are legal in your country. This is a given if your country also has no laws against circumventing any geological or continental restrictions imposed on a content. Also, accessing Netflix information through a VPN for commercially using their content could definitely land you in a legal tangle. Moreover, do keep in mind that if Netflix catches you using their services through a VPN, then they have all the rights to ban you from availing their services. So in a nutshell, it is completely legal to use VPN for Netflix without fearing any civil or criminal repercussion as long as you don’t abuse the access gained. Albeit, some VPN networks can be awfully slow making it next to impossible to stream video content so it may not even be worth the time and effort. Is It Illegal to Use a VPN in Schools? Schools are governed by rules and not laws. As long as a country grants legality to the use of VPN, it automatically becomes legal even in schools. The internal rules and policies followed by schools vary from schools to school. It also depends on the content accessed through the VPN. If the school deems it improper to be using VPN, then you get into trouble with the school authorities. Gaining access to a harmless website may simply result in a light slap on the wrist but getting to the dark side of the internet using VPNs could result in expulsion or detention. The punishment is in accordance with the severity of the implementation of the rule. But in the larger perspective, using VPNs in school could not attract any legal action as long as VPNs are legal in the entire country. Like mentioned before, most countries allow VPN use but some have laid down strict laws against it. So here are the countries that have either banned or are regulating VPN services. It is a well-known fact that the Russian Government runs a robust surveillance system. Thus, needless to say, any technology that offers anonymity, such as VPN, proxies, Tor, etc., was banned and considered illegal by the Government. This action also ensures that the citizens do not gain access to web content that the Government does not wish to allow. Using a VPN is illegal in China. The Chinese Government basically tracks all the online activities and controls, censors, and regulates the web content that the citizens can access. Although, in theory, the country has registered VPN service providers but in practice, they have to conform to a strict and rigid set of guidelines imposed by the Government. This basically defeats the entire purpose of using VPNs in the first place. Furthermore, certain regions of China block VPN usage entirely irrespective of the provider. Following the actions taken by leaders of VPN banned countries, Russia and China, Belarus also banned VPN and Tor services that offered some amount of anonymity. The internet service providers of Belarus have to cross-check with the daily list of services that are banned. This list is issued by the Government agency. Iraq has been a hotspot of terrorist activities since the resurgence of the ISIS. Thus, to track every internet activity and monitor every internet user, VPN has been completely banned. While this action may seem necessary to ban the terrorists, the citizens of the country have to compromise on their security and privacy. Interestingly, the Government and Governmental organizations have no qualms in using VPN. Oman has been active in censorship and hence it comes as no surprise that apart from the conventional media, the internet access is regulated too. Thus, to maintain the stronghold, VPN is banned in Oman. Turkey has been attempting to ban all social media platforms and any medium of gaining access to them. Thus, the Turkish Government has blocked various other websites that include VPN providers. UAE imposes a steep fine on those found to be using a VPN. The fine amount can rise up to $575,800. This is because the Government wishes to support the telecommunication industries. These industries suffer great loss due to the VoIP services that cut into their profit margins. Saudi Arabia witnesses a special scenario wherein using VPNs is legal but the Government authorities have blocked nearly 4,00,000 websites. Pretty much like UAE, the country had also blocked VoIP services to boost their telecom sector. Following this, the Saudis began using VPN to access these services. Fortunately, with the ban on VoIP lifting, the use of VPN may not be necessary after all. Countries like North Korea, Iran, and Turkmenistan restrict the use of VPNs under their general internet censorship and to limit the internet access but they also have a few approved VPN service providers who can offer this service. Moreover, this list of countries is not exhaustive because the laws governing a country are quite dynamic and may change constantly. So, users are advised to check their local law for assurance. VPNs are definitely safer than using proxies since it involves data encryption that can safeguard your information. On the surface, the idea of using a VPN for a fortified security, anonymity, and privacy may seem ideal situation but it comes with its fair share of traps. 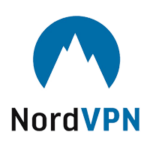 When it comes to accessing free VPN, it is important to understand that nothing is ever completely ‘free.’ VPN providers who offer services for free may actually allow any malicious third-party to collect your personal data. They may even give access to your internet connection, using which rogue entities can carry out illegal activities. Some VPN service providers marketing their wares for free could track and maintain records of your IP address and your internet usage history. These personal records with all your information could be sold off on the dark side of the internet. Compared to this, paid VPNs may appear to be a more attractive option to avail these services. While it may seem reassuring to know that the VPN service providers must accede to a list of guidelines and maintain strict policies, what is troubling is that these laws are determined by the country where the organization is based. Hence, shady VPN service providers set up operations in countries where these compliance rules are either missing or are too lax. This way, they may appear to be complying with a weak or non-existent law and yet appear like a legitimate business. Thus, it is important to consider the location of your VPN provider to assess how stringently they follow the privacy policies. Which VPN Should I Buy? Now that you are aware of the legal status of VPNs in your country, you might be wondering which VPN is best in terms of speed and security. To answer your question, I have tried more than 10 VPN providers so far and I found ExpressVPN as fastest VPN in the industry. It is slightly costly compared to other providers, but it is worth every penny. Below is a table of top 5 VPN providers that you can consider to hide your online activities. Is Jailbreaking a FireStick Illegal? 3 Is It Illegal to Use a VPN for Netflix? 4 Is It Illegal to Use a VPN in Schools? 6 Are VPNs Safe to Use? 7 Which VPN Should I Buy?